Wet and cold clay that you could literally wring water from. "add a layer of organic material and turn it in" is a simple version. Heavy clay is just that, and makes for heavy work. The wet and cold of winter are likely to provide some of the best clues to your soil type. If your lawn or flower beds have pools of water, the lawn squelches beneath your feet as if walking on a sponge, you’re probably experiencing the symptoms of underlying clay. 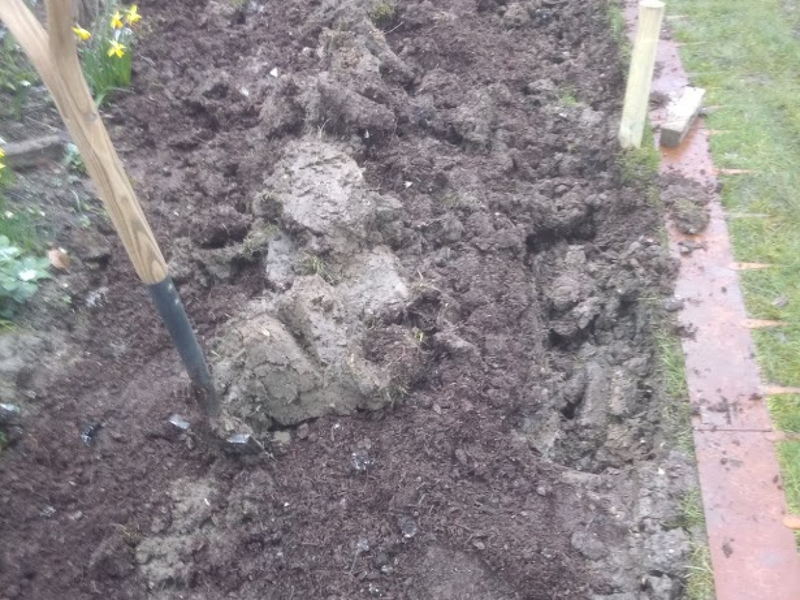 There are ways of improving clay soil. Clay is often spoken of in hushed terms, with sympathy expressed for those unfortunate enough to suffer it. But other than a having to apply a different plan to keep it workable, those with clay might be grateful. Some of the most celebrated gardens are on clay, like Great Dixter. There is no shortcut to improving clay soil. It will take work, and some money, and it may take time. Key to making it as simple as possible to use the weather to your advantage. So step one should be to use winter weather to break down clay soil for you. This applies regardless of soil type really, why work the soil when winter does it for you? Dig the beds over and let cold, frost and rain break it up. But that assumes you’ve had that opportunity. Next would be to use gypsum to help break the structure of the clay. It won’t work on its own, but in conjunction with some bulk organic matter it will be worthwhile. Gypsum causes the clay to clump together, or flocculate, and can improve damp lawns just by sprinkling it over the grass. It is a fine powder, so use carefully and with precautions to prevent ingestion. 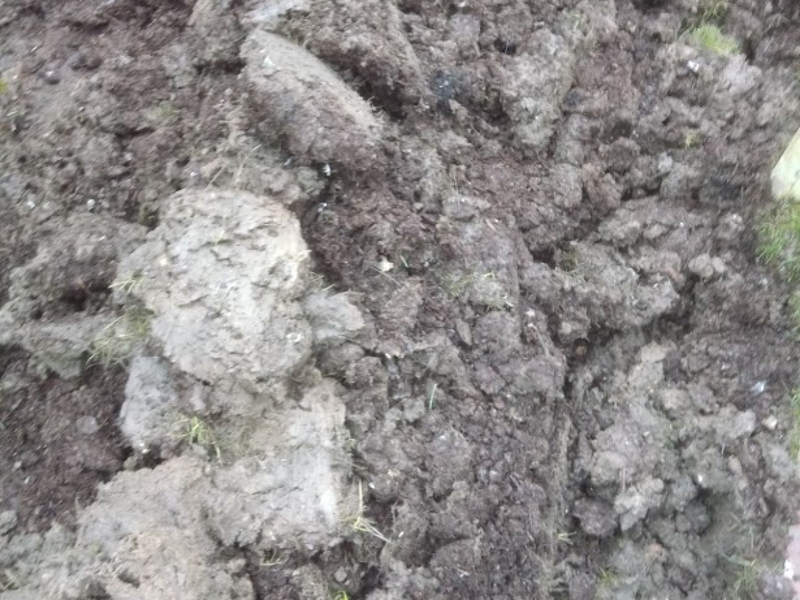 Organic matter is the overall best solution, both breaking up the clay by separating it and providing moisture retaining matter for the months when clay dries out. Well rotted manure or composted bark are the best for this, but are twice the price of mushroom compost. As the third choice for organic additions, it is still viable, and given the cost benefit probably elevates itself to No 1. Whatever you choose to add, it will involve barrowing it to the site, spreading it over the work area, and then digging it in. Spread the organic material a few inches deep across the affected area, before digging in to the underlying clay based soil. Slicing up and turning the clay first allows the compost to be combined more easily. 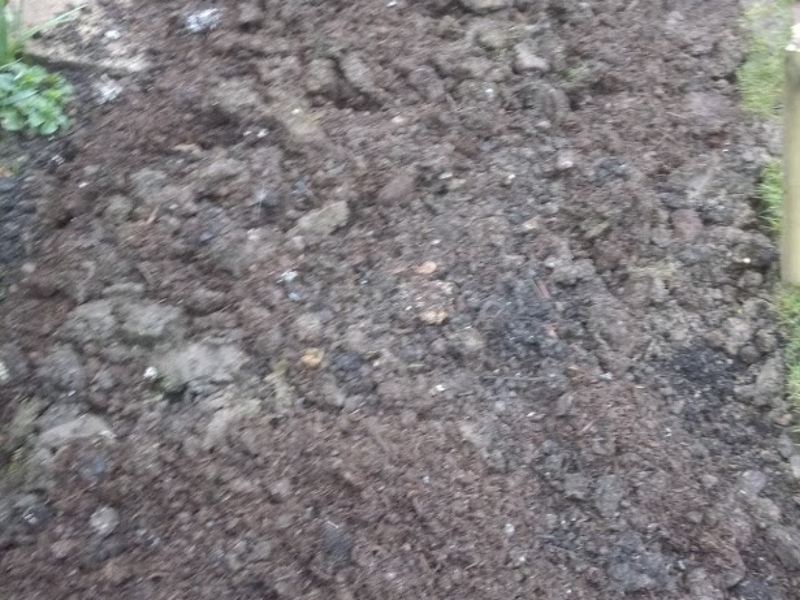 Further applications of manure, bark or garden compost will continue the improvement process. In working your soil don’t make it worse by treading on it. Lawns especially should avoided. If access is essential try to use planks or boards to spread the load and avoid compacting the soil further. Or wait until the soil is to some degree dryer. 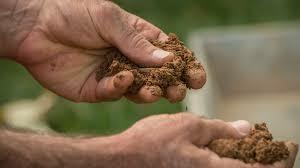 You could further improve a heavy clay soil by effectively diluting the clay. This involves adding particles that are larger, therefore taking up some of the space, separating the clay. This involves large volumes of sand or grit. 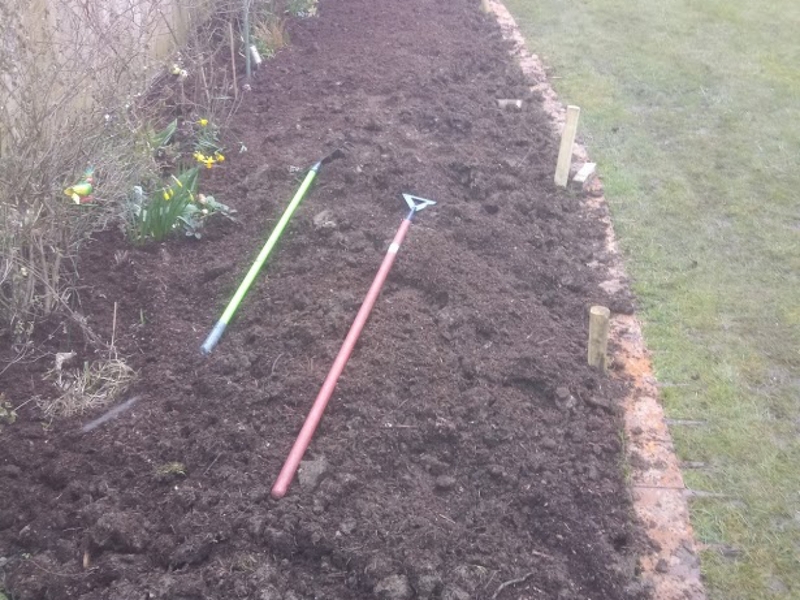 The volumes involved make this method suitable only for smaller spaces, and the increasing overall volume of soil lends it neatly to making raised beds. Raised beds are naturally better drained. But they often infer a more formal layout. The cost implications are a minimum of £5 per square metre. Getting it “perfect” might cost around £15, plus any labour required to facilitate it. In most cases gardeners have a plan of what they want to grow rather than what the conditions dictate. Improving the soil in this way helps that goal be achieved. 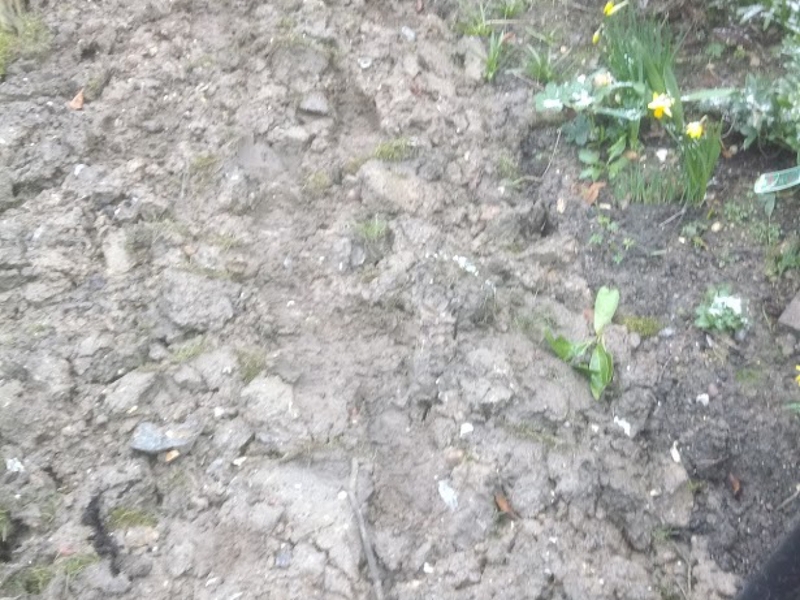 Some plants actually thrive in the naturally damp and then dry conditions provided by clay. Because clay soils can be hard to turn, and difficult to work on, keeping weeds out becomes a priority. Bergenias and Ajuga are both valuable easy care plants that provide more that one seasons interest in addition to their weeds suppressing duties. 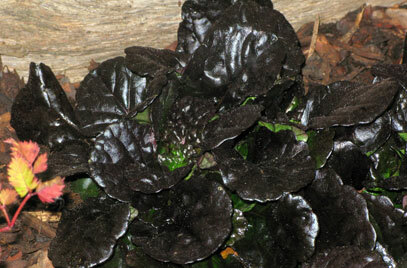 But changing the structure with composted material can allow that same range of plants, and another much wider range. Best of all is that it will not take as long to manage once its done. 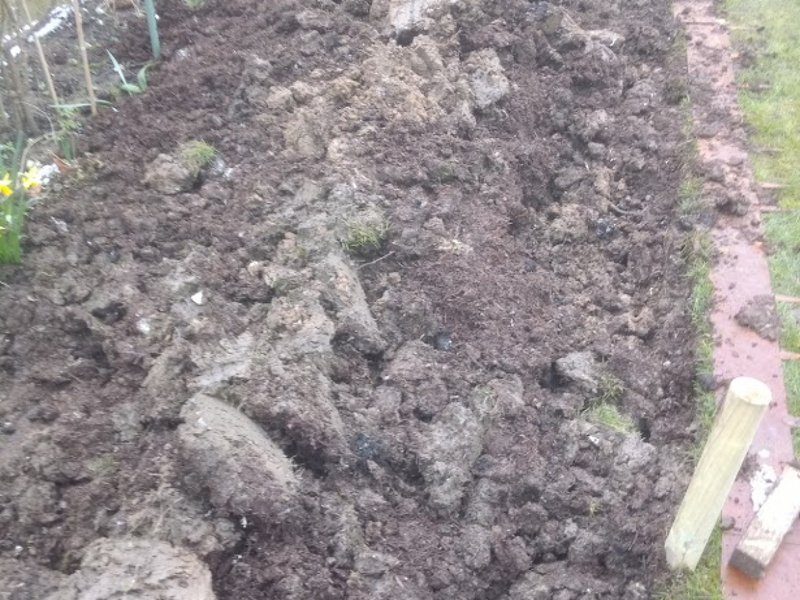 Gardens with an underlaying clay soil will remain colder and wetter until later in the year. So whatever you decide to plant, planting is correspondingly later.